Sister Vivian Canady Duncan was born November 11, 1928, in Webberville, Texas to Beatrice Jones Canady and Samuel Canady. She was the older of two daughters born to this union. 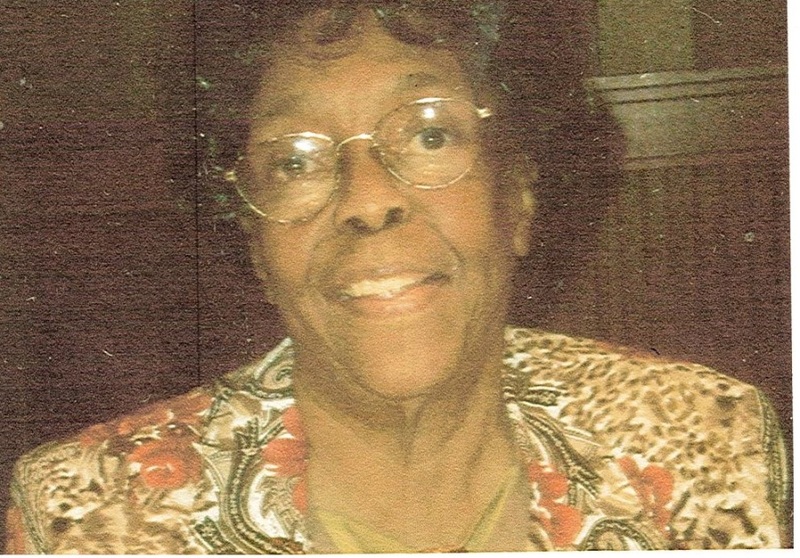 She was preceded in death by both her parents; her only sister, Mrs. Sammie Canady Wicks; her beloved husband of nearly 39 years, Andrew Lee Duncan, Sr. and 3 sons, Otis G. Bailey, Jr.; Ricky Duncan and Harold E. Bailey and 2 grandchildren. She received her education through Austin ISD and graduated from the Original L.C. Anderson High School. Then earned a Bachelor of Arts Degree from Tillotson College in Austin, Texas. She became a teacher in the Austin ISD and taught at Blackshear L.L. Campbell as well as Linder Elementary Schools. Upon retirement, she became a caregiver for 3 children in a private home. She was married to Andrew Lee Duncan, Sr. in December 1967, and together they raised 7 children. They were married for nearly 39 years. Sis. Vivian Duncan received true salvation on Christmas Eve, December, 1971, after hearing the gospel from the late Bishop Roland James Allen. She was a faithful member who used her gifts and talents to the glory of God. She was one of Bishop Allen's chief secretaries, and served in many auxiliaries in the church, such as the Choir, the Orchestra, Assistant Program Directress for biblically inspired skits and and dramas, Tract & Book Ministry, International Panel & Protocol Team, Prayer Warrior and Follow-Up Team. The clean life that Sis. Vivian Duncan lived, helped others, including her husband to make a decision to become a Christian. After he became a trustee, they worked together on the Follow-Up Team and & Sponsorship Team to raise donations for Youth Fest and Operation Christmas Gift. Under the leadership of present Pastor, Bro. Eddie E. Willis, Sr., Sis. Duncan was appointed Editor-in-Chief of the New Covenant Church Memorial Library. She departed this life on September 5, 2018 at the age of 89. She leaves to cherish memories of her life, two sons, Andrew "Pedie" Duncan, Jr. (Eleanor) and Karl Bailey, Sr. (Christine); Three daughters, Etha Evon Horton; Sharon Bailey Collins (Andrew), all of Austin, TX and Debra Shelly (Robert) of Houston, TX; two sisters-in-law, Verda Duncan of Austin, TX, Alvera E. Taylor of Baytown, TX; a niece, Jacqueline Seaborn (David); a nephew, Gregory Wicks; 17+ grandchildren; 15+ great grandchildren; a number of great-great grandchildren, as well as her New Covenant Church family, under the leadership of Pastor Eddie E. Willis, Sr. and many, many friends. | 8507 North Interstate 35 Frontage Rd.